Data is the heart of what we do. Once we’ve identified your problem, our first step is to gather the relevant data. Raw data is then translated into a format you can actually understand with KPIs, management information systems and visualisation platforms that allow you to see things clearly and accurately, turning your data into information. ProRail is the Dutch Rail organization responsible for the maintenance and expansion of the Rail Network Infrastructure. 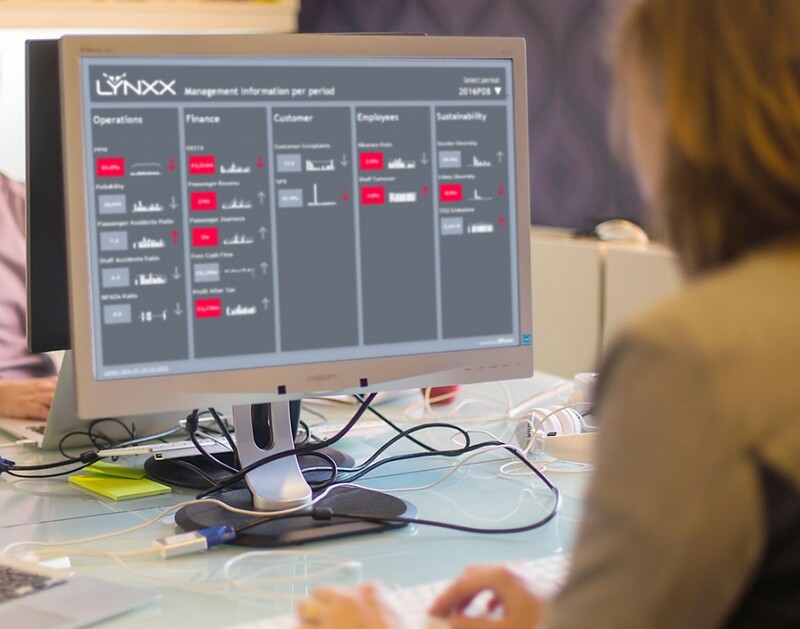 Lynxx developed the complete Board dashboard which provides insight in the main KPIs in an accessible and transparent way. This dashboard provides both management and operational information for up to 1000 users at ProRail. To develop the dashboard the previously existing large variety of dashboards, reports and web access points were to be reduced to one single access point providing access to all data. Lynxx has created both the tooling and commitment within ProRail to realize the project. By cooperating closely with data-owners within the organization, Lynxx has created a new environment in four months. We connected over 100 data sources that feed into one single coherent data model. Every manager can access the information on any moment of the day at any aggregation level (from top KPI to lowest level of detail). Due to the accessibility and quality of the dashboard provided by Lynxx the user group of the dashboards has been extended up to 1000 users today. 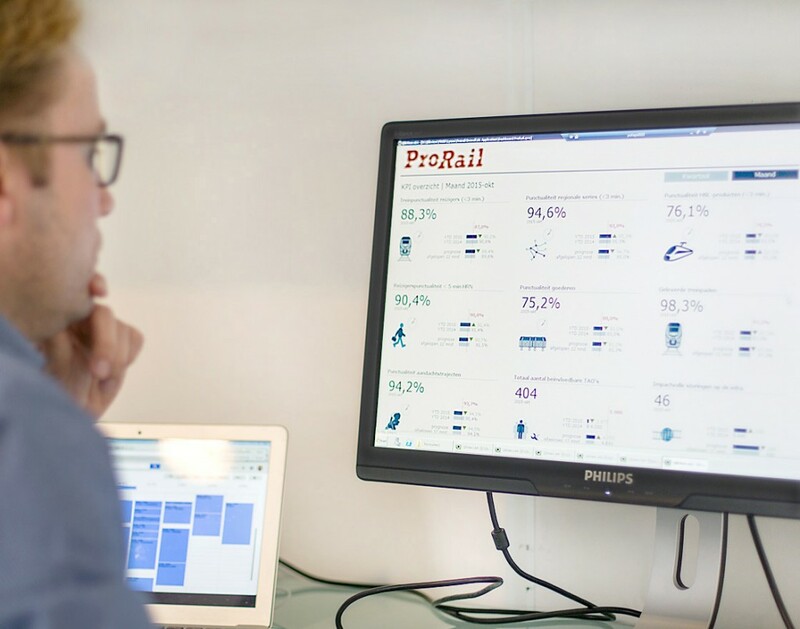 Lynxx has helped ProRail in continuously developing the dashboard and its environment. Today ProRail and Lynxx work in mutual cooperation to get most out of the data. Dutch Railways is the Dutch organization responsible for train service. The Safety Department needed to get a clear view into Labor Safety, Railway Safety and Social Safety. Lynxx developed a dashboard that provides insight in these topics. 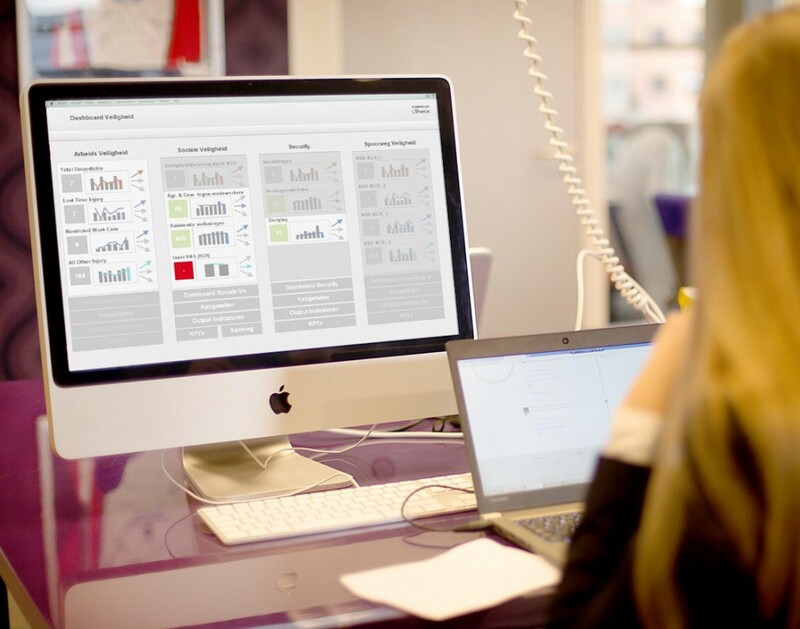 This dashboard provides both management and operational information for up to 150 users at Dutch Railways. To develop the dashboard the process (input, throughput and output) had to be explicit in order to get a clear vision on the KPI’s. The existing reports were analyzed to define which measures had to be integrated in the dashboard. The main data source is SAP. The Dashboard is directly connected to the source. Besides, Railpocket data and Safety Data are linked. Lynxx has on the one hand, created the dashboard. On the other hand Lynxx was asked to be part of the project team creating awareness on Safety (Project Hearts & Minds). Every manager can access the information any moment of the day. A Safety Dashboard with real time information. It provides managers the information to be able to make the right decisions: e.g. which stations need extra service employees, where to place cameras, where to invest to create a safer environment. Build a monitoring application for Abellio to enable management of various operating companies based on the same clear Key Performance Indicators. Step 1: reviews with the Board to define the KPI’s. Step 2: build a data model to define all different data sources. Step 3: build the Management Information System with the interface to all data sources and fields to visualize the defined KPI’s on a daily basis. Transparency of the performance of all various operating companies in one glance, to give the Board a tool to manage and intervene in order to improve performance. The dashboard gives insight from the lowest level of registration to the highest level of aggregated data.